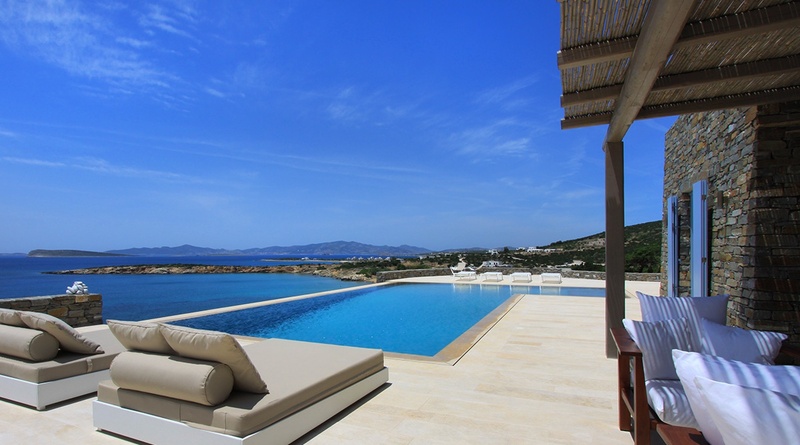 Set in one of the most privileged locations of southern Paros, villa Agassi is a gorgeous six bedroom summer home with striking views of the bay of Faragas and a breathtaking sunset. True to the vernacular architecture, the structure is composed of strict geometric forms, clean lines and dazzling white surfaces that create an interesting contrast with the soothing colors of the sea and sky. Double bedroom with en-suite bathroom (occupied by the villa staff).